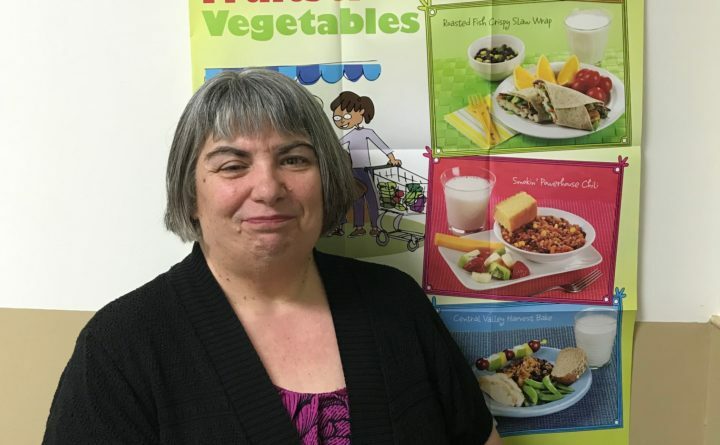 CARIBOU, Maine – The national, non-profit School Nutrition Association (SNA) has named Louise Dean, SNS, Foodservice Director for Eastern Aroostook Regional School Unit 39, ME, the Northeast regional “Director of the Year”. The award recognizes the extraordinary contributions of school nutrition directors who manage effective school meal programs providing healthy, appetizing meals to students. In her 28 years as a school nutrition professional, Louise Dean has made it her mission to feed more children healthy school meals. The Breakfast in the Classroom program Dean implemented to provide more students a healthy start to their day, resulted in an impressive 350 percent increase in student breakfast participation. More students with full bellies who were ready to learn also meant 50 percent fewer visits to the school nurse because of hunger pains. After Dean secured Community Eligibility Provision (CEP) status for two of her schools, school lunch participation increased by 25 percent. Dean also initiated a Summer Food Service Program to provide healthy options to students year round and implemented the district’s first online payment program, making it easier for parents to track their child’s meal accounts. Promoting healthy trends in school, Dean also worked with local farmers, incorporating fresh produce into school meals whenever possible. Always keeping safety in mind, Dean closely monitors students’ allergies, food sensitivities and health restrictions to ensure that every student will be able to choose a healthy meal from the menu. She visits kindergarten classrooms each fall to read to students about the importance of healthy foods and snacks. The students help her plan a breakfast and lunch that they will later see on the menu. Dean works to make students a part of the decision-making process and helps them understand the inner workings of the school nutrition department and importance of healthy meals. The regional Director of the Year Award was created to recognize school nutrition directors who exhibit an extraordinary commitment to their school meal programs. The directors are responsible for maintaining the quality of the program through student interaction, menu planning and a commitment to serving nutritious, tasty and well-balanced school meals. Through effective oversight of all aspects of foodservice operations, including budgeting, staffing, training, marketing and community outreach, school nutrition directors ensure the overall success of school meal programs. In July, Dean will be honored during the Red Carpet Awards Ceremony at the School Nutrition Association’s Annual National Conference in Las Vegas, Nevada. The School Nutrition Association (SNA) is a national, non-profit professional organization representing 57,000 school nutrition professionals across the country. Founded in 1946, SNA and its members are dedicated to making healthy school meals and nutrition education available to all students. For more information on school meals, visit www.SchoolNutrition.org/SchoolMeals.